Print, copy and scan – all in full colour. 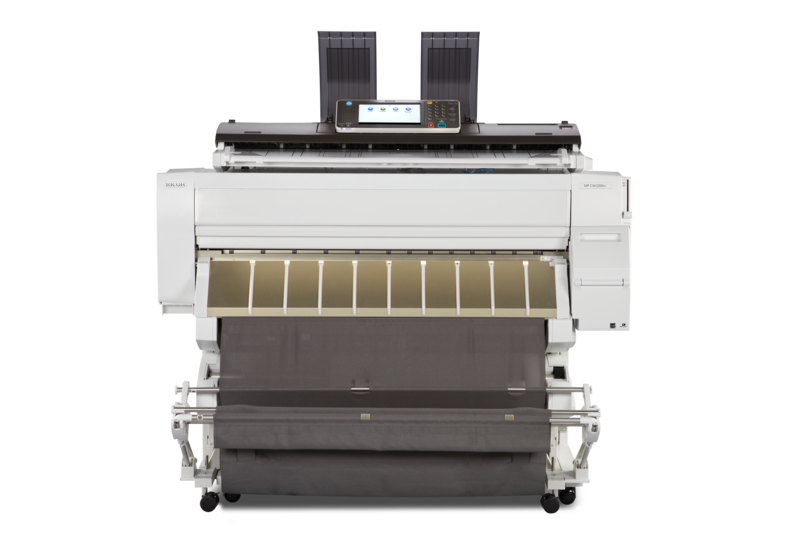 This Ricoh MP CW2200SP delivers high-quality wide format colour output fast and at low cost. 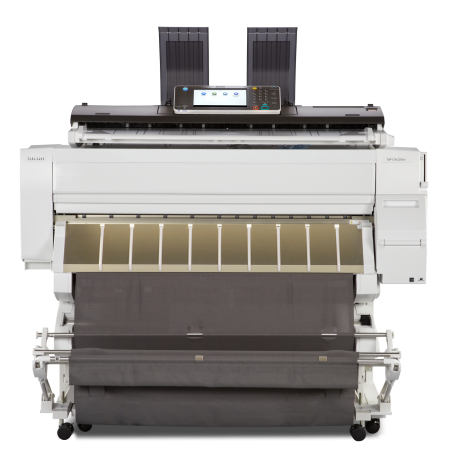 Your office’s productivity is on the rise, thanks to high-speed monochrome printing at 3.2 sheets per minute (A1 horizontal). And with less than 40 seconds from sleep mode to print, you’re up and running fast. During printing, new Liquid Gel ink technology enables ink adhesion without heat. The result is much greater energy efficiency than laser printers offer and reduced environmental impact. The large touchscreen makes it easy to select key functions. For extra convenience and efficiency, the home screen is customisable – simply add the functions and settings you use most often!